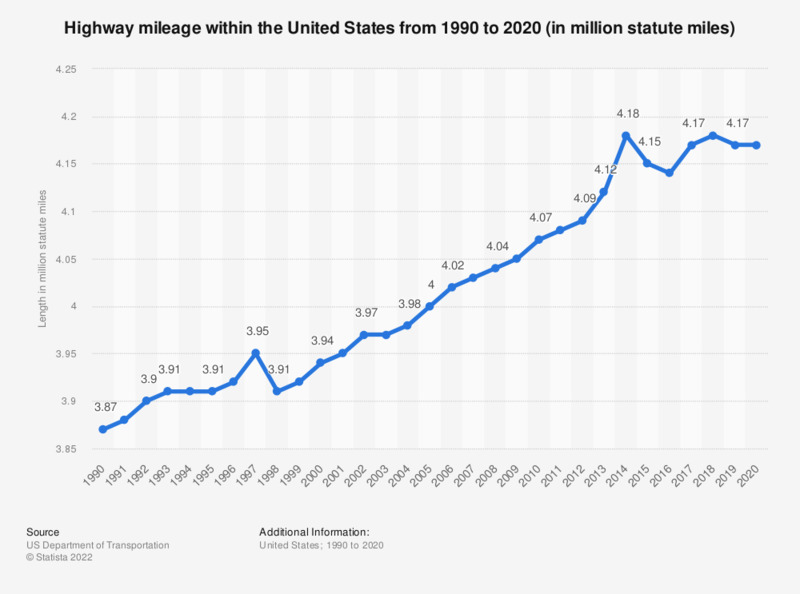 This statistic represents the highway mileage within the United States from 1990 through 2017. In 2017, the highway network in the United States had a total length of around 4.17 million statute miles. All public road street mileage in the 50 states and the District of Columbia. No consistent data on private road mileage are available. Beginning in 1998, approximately 43,000 miles of Bureau of Land Management Roads are excluded.